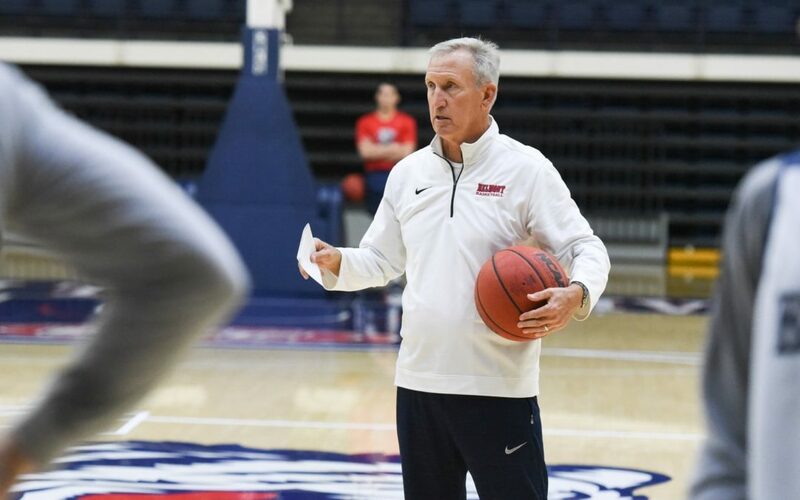 Belmont basketball coach Rick Byrd is retiring, and it’s not an April Fools’ joke. The longtime Bruin head coach announced the news in a statement posted on the school’s athletics website Monday. “For the past 33 years, it has been my privilege to work with, and for, a remarkable community of men and women at Belmont University,” Byrd said. “Throughout my tenure as men’s basketball coach, our program has received great support from Belmont’s administration, faculty, staff and students. For this, I am forever grateful. Byrd won his first NCAA tournament game March 19 with a 81-70 victory over Temple in the First Four. The Bruins then lost a 79-77 heartbreaker to Maryland in the second round two days later. The Knoxville native won 805 career games, which ranks 12th all-time among Division I coaches. He served as head coach at Lincoln Memorial and Maryville College before spending 33 seasons as the Belmont skipper. He transitioned the program from NAIA to NCAA Division I in the late 1990s and helped it rise to national prominence. Under Byrd’s leadership, the Bruins made eight NCAA tournament appearances in the last 14 years. Belmont athletic director Scott Corley thanked Byrd for his contributions to Belmont said a national search to find the school’s next coach will begin immediately.